Ad networks connect advertisers with web and app publishers. Ad networks aggregate ad inventory from websites and apps and match it with advertiser demand to facilitate the digital advertising buying process. This gives advertisers a one-stop-shop for potential ad placements and gives publishers an option for monetizing their website. For advertisers, ad networks show them the inventory that is available to buy. For publishers, ad networks package together inventory to be useful to advertisers and yield the highest profit. Ad networks serve as a bridge between advertiser campaign management and publisher ad management software, with both sets of software needing to integrate with ad networks. Ad Network reviews by real, verified users. Find unbiased ratings on user satisfaction, features, and price based on the most reviews available anywhere. 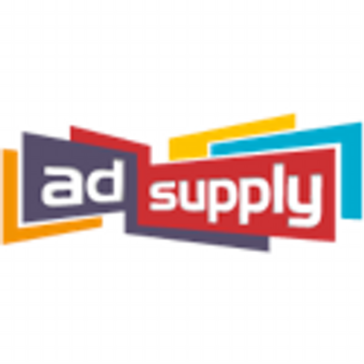 AdSupply provides amazing ad spaces with high impact and viewability. 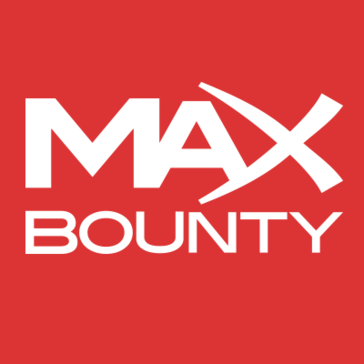 MaxBounty acts as a liaison between advertisers and affiliates, striving for a profitable balance for both sides. 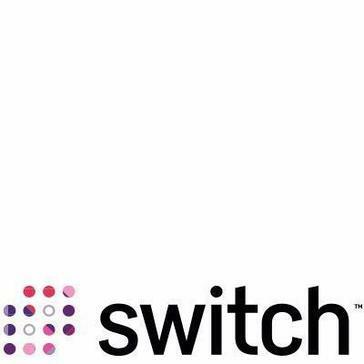 Switch uses innovative software, intelligence and data analysis to understand the needs of the publisher and the advertiser to create meaningful rewarding relationships. AdJug is an online advertising exchange. It connects buyers and sellers of online advertising and provides them with transparency, control and choice. Affiliate is defined as “to be united in action and interest.” Clickbooth connects Advertisers with a product or service with Affiliates who are experts in all forms of digital marketing and capable of driving high quality traffic on a Cost-Per-Action (CPA) basis through native, social, mobile, display, email, search and contextual channels. 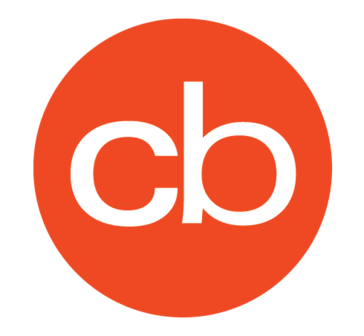 When you work with Clickbooth as an advertiser, you only pay for real results - new customers or users. As an Affiliate Partner, you can rely on us for the best offers, guaranteed on-time payments and cutting edge technology. We value our partners and only work with companies who maintain stellar reputations or those looking to build stellar reputations. Convert2Media is a full service Advertising and Internet Marketing Agency that provides publishers the necessary tools to promote our merchant's offers. Intent Media provides predictive analytics to help retailers recognize and react to the unique value of each site visitor. Jebbit's post-click marketing platform powers 1000s of unique audience engagement experiences. The NEOSYS media system is adaptable and works well in both buying and selling environments. While it feels just right for a single user, it works well for large teams too. Ad-Center offers affiliates, revenue potential with tools and resources that allow them to convert their traffic into more revenue. The goal of the adChain Registry is to provide advertisers with a list of websites that offer high - quality inventory for serving digital ads. AddyON is a self-service online advertising platform to link publishers and advertisers worldwide. ADLIB is a mobile ad network offering advertising and mobile app marketing solutions. Admixer.Network is an ultimate platform for advertising networks creation and management. It builds Premium Ad network with an ecosystem of Direct Publishers and Advertisers offering them ultimate ad management solutions for their needs. adPOPcorn is a mobile ad network and application monetization platform. AdReady uses media sources and proprietary platforms to create strategies that exceed your digital and performance goals. Advertze™ is first Universal Offer Monetization Network and has clearly redefined Affiliate Marketing to a whole new level. We only run CPA, CPL, CPI & Mobile offers so you can be sure that our traffic is specifically targeted. Advertze has the ability to run your campaigns across the globe to over 210 countries. They can help with performance, creatives and targeting optimizations. We also provide Dedicated and Top-Notch support. Atex Advertising is a fully integrated solution with the tools to help manage every facet of premium advertising business, from lead generation to revenue collection. BizProfits aims to connect top converting affiliates with advertisers who have the most lucrative offers online. Eyereturn improves the way brands connect with their customers online. Our proprietary platform provides unified campaign control, empowering brands through consolidated attribution-based results in a single dashboard. Breaking free from walled gardens, Eyereturn has done away with layers of intermediaries, providing actionable data and insights across search, social and display campaigns. The result is that our clients have the ability to make informed, transparent, real-time decisions everywhere they connect with their audience. Campaign Manager+ is the self-serve ad server from Eyereturn that streamlines processes and simplifies campaign workflow. Take control with a feature-rich, user-friendly interface - complete with consultative account support. Features include intuitive workflow management, multi-platform consolidation, integrated verification suite, Eyereturn Design Studio, and SmartSync. Clicksmob connects thousands of publishers around the world to the most leading advertisers in the mobile industries. It's an innovative banner ad exchange platform that enables you to advertise your Shopify app for FREE by promoting apps from partnering developers in return. CPMStar is an Ad Network providing advertising solutions to the gaming industry. High-performance audience & content targeting solutions for digital advertisers. Now with Planit Advanced Contextual Targeting. Founded in 2009, engage:BDR is a cross-device advertising solution company, consistently recognized for powering outstanding, integrated Display and Video ad experiences. The world’s top advertisers and comScore top 1000 publishers depend on our innovative advertising and managed service solutions to drive towards individualized KPIs. Through in-house innovation and industry-wide contributions and collaboration, we aim to offer solutions that make advertising and publishing their very best. Etology provides a centralized marketplace for both advertisers and publishers to serve traffic to dating websites. Hyperbidder is an online advertising exchange network that specializes in video advertising as well as traditional banner advertising both on Desktop and on Mobile platforms (ios and Android). MASS Exchange is a 'bid and ask' negotiating environment designed for transacting TV media, both linear and addressable. MediaShakers is a global online advertising network dedicated to creating innovative opportunities for both publishers and advertisers. QlickTrack is a next generation digital marketing performance tracking platform.We are committed to build world class digital platform wherein companies big and small can leverage latest technology and software to efficiently and cost effectively manage the impact of their digital marketing spends and get the most out of their investments. Seventynine is an ad integration and monetization platform. Sulvo is an ad server, a marketplace and a pricing engine in one. Sulvo's pricing tools help publishers discover the true value of their inventory so they can prevent underselling valuable ad inventory. A self-service media management and buying platform for automated advertising. A single doorway to the world of audiences, buying partnerse and data sources. Have a transparent view into all your media investments. TrafficHaus is an ad network delivering millions of ads daily in under 1 second. Advertisers benefit from campaign management tools, streamlined additions, updates through automation, and integration of real-time data with planning and buying solutions. Earn Views & Shares For Your Video By Advertising On The ViralGains Platform. Vortex Advertising is a worldwide advertising agency specialized in performance marketing. Working with Dating, Gaming and Application verticals and continuously growing the number of offers. Main reasons you should pick Vortex Advertising among other networks: - Over 150 direct advertisers offering worldwide GEO’s; - Exclusive offers and advanced smartlinks; - Best-performing creatives and optimized landing pages; - Highly qualified managers interested in increasing partners’ earnings. W4 sets and adheres to the best practices in affiliate media distribution, and scores high marks through campaign optimization, quality affiliates and transparency. Wiget Media is an online advertising network that focuses on performance driven digital advertising campaigns. YTZ International specializes in global traffic monetiziation solutions for online publishers. Simple set up and proven results make us the best solutions for redirects or unsold traffic. Hi there! Can I help you find the best Ad Network solutions?